Prescription eyewear makes sense for a wide range of reasons. Even if your eyesight worsens, you probably won’t be able to wear your regular glasses in a number of situations. At the same time, you need to see clearly just as much in these situations as you would while reading or watching TV. That’s what has made Wilex X so committed to offering prescription glasses that can fit your exact need. In fact, its broad range of models allows you to take advantage of your favorite hobby or even your profession without having to sacrifice your vision. Couple that with the history and quality commonly associated with the company, and you have an even stronger reason to purchase prescription Wiley X glasses. Wiley X was born out of a dedication to service. The company was founded in 1987 by Myles Freeman Sr, a military veteran who wanted to make sure that soldiers like him would be adequately protected in a wide range of scenario. Freeman and his sons quickly expanded their range from the military to law enforcement and civilian segments of the population. One thing, though, remained: a dedication to high-quality eyewear that would be good enough for special forces. In the three decades since, Wiley X has set the standard for safety, style, and utility across all brands of prescription and sunglasses. All products meet ANSI Z87.1 safety standard for High Velocity / High Mass Impact, while also conforming to a variety of military standards and regulations. The result is protective eyewear that will be sure to impress. Couple that quality with the style, and you have a great reason to choose Wiley X the next time you need prescription glasses. You do, of course, have to find a specific product line that meets the situation in which you will need the glasses. Fortunately, the brand also delivers in this regard. As their name suggests, this line of eyewear is built for active sports. The frames ensure that the glasses stay on your head at all times, which will help to make sure that your vision remains sharp and clear even as you climb rock walls and perform stunts. The Active series includes a variety of styles and shades, sure to fit every needs. All glasses, of course, conform to the high safety standards of Wiley X, which means that they will be built to last and will serve your needs for years to come, even in the most extreme situations. Are you looking to go on a motorcycle ride or any other type of adventure in which you can expect high winds? 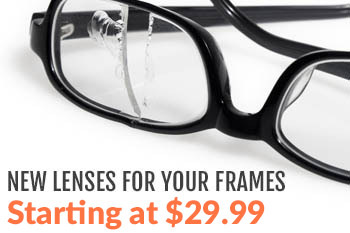 If so, look no further than the Climate Control series for your prescription eyewear needs. These glasses are designed to protect your eyes from debris, wind, and dust, ensuring clear sight at all times. The situations in which Climate Control glasses are most beneficial are also the ones in which failure of your eyewear could lead to potentially significant danger. For instance, fast-paced motorcycle riding absolutely requires clear eyesight. Prescription glasses that prevent your eyes from watering and even (as their name suggests) keep sweat from getting into your eyes are vital. Who said Wiley X prescription glass are only beneficial in outdoor scenarios? The glasses available in the Worksight series beg to differ. In fact, these are perfect for anyone who is looking to keep clear eyesight and protect their eyes without making an unnecessarily significant fashion statement. Worksight glasses are understated in style, and won’t attract attention like wearing sunglasses inside might. 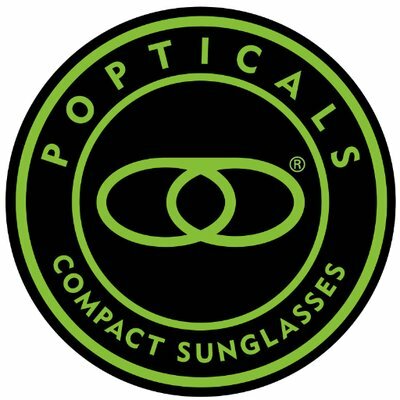 At the same time, they offer just as many functional benefits to any wearer, which range from protection to ideal fit and the right prescription. Choose these glasses for a more subtle, but just as effective look. Whether you are in active service or simply perform heavy duty work that requires eyesight protection at all times, you need more than just a simple pair of sunglasses – even eyewear as well-manufactured as Wiley X. You need goggles, which do a better job of protecting not just your eyes but the entire facial area around them. You might not know, however, that you can get even this type of eyewear specifically customized for your prescription. That’s what Wiley X Goggles promises; whether you ride a motorcycle or anticipate enrolling in the service, chances are you will come across a need for these. The available shades range from clear to dark sunglasses. What if you don’t know exactly what types of glasses might be best for your needs? Even if you recognize for safety glasses that account for your prescription, you might not find it easy to fit into one of the above categories to find the right series for your needs. In that case, the Changeable series is an ideal fit. The name suggests the core function of this type of eyewear: changeable lenses. Switch them out depending on your needs for maximum functionality. In addition, all glasses in this series meet GL-PD 10-12 MCEP standards, superseding the MIL-PRF-31013 Ballistic Standard that most of our competitors can boast with. Finally, these glasses work especially well for high-sweat situations, keeping the sweat out of your eyes to maximize your vision. Who said that Wiley X only makes sense for adults? The Youth Force series certainly begs to differ. These glasses are specifically designed for children, offering the same protection as the other product lines while being built with this different audience in mind. Glasses in the Youth Force series work particularly well for children who are active in sports or other action-oriented hobby, but need a prescription to stay safe at all times. Given that they follow F803 sports safety standards, they are a sound investment for any parent looking to keep their kid safe without taking away the fun. In short, Wiley X prescription glasses are an ideal fit for a wide range of situations. Whether you love riding a motorcycle or have an active kid that needs the right eyewear for the sport they play, this eyewear looks to solve your need and become a trusted partner in your activity. Of course, even after understanding the many benefits of prescription Wiley X glasses, you still have to understand exactly where you can buy them. That’s where RX Safety comes into the equation. Wiley X, in fact, is one of the many brands we sell on our website. Each piece of eyewear we sell goes through a rigorous vetting process to ensure safety standards. We strive to make eyewear affordable, ensuring that even a high-quality, military-grade brand like Wiley X can be purchased without spending a fortune. As a result, we are striving to become the go-to prescription and safety eyewear resource for customers like you. Our range of products focuses on every situations, ensuring the perfect fit for your needs. To learn more about our products, and to begin shopping for your next pair of prescription Wiley X glasses, contact us.